The property is currently renovating the 19 Deluxe Ocean View Rooms located on the ground floor, which will turn into Deluxe Swim-Up Ocean View suites. 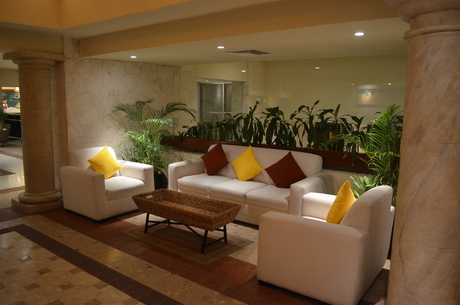 This renovation will allow the hotel provide more comfort option. During the renovation, all works will be carried out from 09:00 to 18:00 hours. It is anticipated that works will be ending by May 31st, 2018 with no affectation to the hotel normal services. Located in the heart of the Mexican Caribean. Just 5 minutes away from the clubs and 30 mins from the Airport. In the most beautiful area of the region between the nichupte lagoon and the turquoise sea of Cancun. Four restaurants, a fully equipped fitness center, spa and yoga studio, two dreamy swimming pools, central access to the entire Cancun region and a beachfront that just won't quit, all combine to give you the Caribbean vacation of a lifetime. With 24-hour room service*, an All-Inclusive plan that includes all day munchies, a loaded activities program, sail boats, snorkeling and live nightly entertainment, it may be more Cancun than you bargained for. *The property's aim is finding sustainable practices; you can make use of room service once every 24 hrs. A second service within this period will have an additional cost of 15 USD. - Paninis & pizza, expresso, ice cream and more. 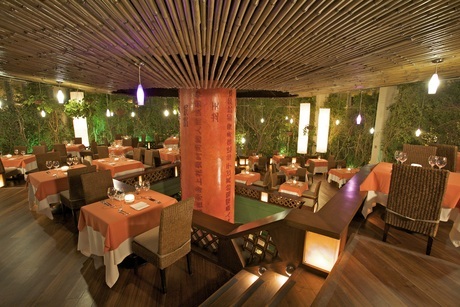 - Nightly entertainment in three restaurants. Of course, there's beach and beach and still more beach. There's Surfing, Boogie Boarding, Pool and Beach Volleyball, and plenty of Bali Beds if you just want to watch. 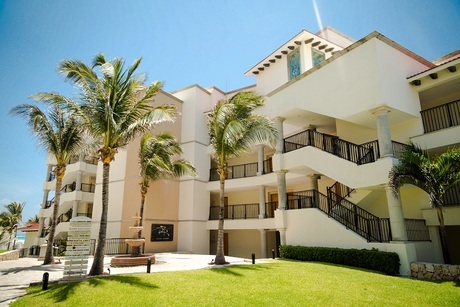 Grand Park Royal Cancun Caribe is an amazing Cancun lodging choice for your trip to Mexico. With numerous amenities for guests such as room service, free full breakfast sit-down, car rental, you will wake up at Grand Park Royal Cancun Caribe feeling ready to go every day for your time in Cancun. 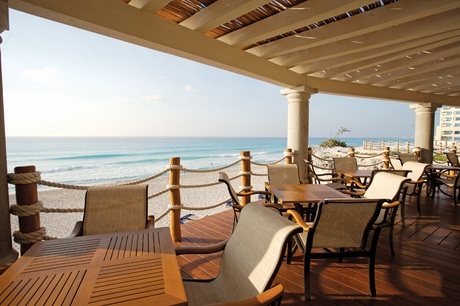 Don’t let this amazing reservation opportunity pass you by, book your stay at Grand Park Royal Cancun Caribe today to make the most of your time in Cancun, Mexico.